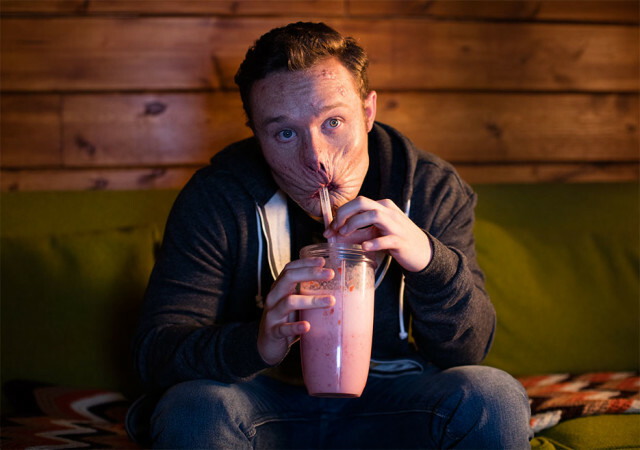 How Will 'Preacher' Bring Arseface Back from Hell? There's no way this character just goes away. AMC’s Preacher has been such a mixed bag, being so promising and yet so slow to get to the point. The show has deviated from its comic book origins since day one, leaving us impressed with its imagery and acting, but unsure of where it’s going. However, Preacher managed to become shocking again, and rile up comics fans again, with last week’s episode, “Sundowner.” This episode had two big moments, recovering its blood-soaked hilarity with the prolonged angel clone fight, and the shocking disappearance of Eugene, aka, Arseface. When Eugene confronts Jesse with an unpleasant truth about his power, Jesse tells him to go to Hell, accidentally using the Word. As far as we know, the Word is taken as literally as ever, since Eugene vanishes, leaving nothing but a scorch mark on the church floor. The most recent episode offered no easy road back for Eugene, so it looks like something wilder and more significant is in store. Hopefully, this something will launch Preacher into overdrive, and set up a Season 2 that takes us on the road. One thing that is clear, Arseface is far too awesome and creative of a character to have him just disappear, even if his backstory is a lot tamer in the show than in the comic book. So how exactly will he get back from Hell? Grab a meat shake, because the fan theories are all over the place. This theory has some traction among fans, who argue that Genesis doesn’t actually have the power to teleport someone. This theory hinges on the assumption that he wasn’t actually teleported anywhere; he just ran off. To be fair, we don’t actually see him sucked into the underworld, and that mark on the church floor could be a coincidence since a lot of wild stuff has gone down in that church recently. As to where he ran to, some say it’s to seek his own interpretation of Hell. We don’t buy it, though. For a kid who loves to self-flagellate so much, his personal hell would be actual, Biblical Hell anyway. A subset of Eugene runaway truthers believe this one. Since the Word tends to be taken very literally, Twitter picked up that he might have gone to Hell, Michigan. I guess he would just hop on a bus and then be confused once he got there. We don’t love this theory because it would be a major cop-out and do nothing to advance the story, unless Eugene really strikes out to make a life for himself, and gets to live some of his comic book rock star plotlines. Still, it seems irresponsible to break him off from the main narrative this early on. Some users on Reddit have pointed out that in the comics, Hell is a place that human souls cannot survive, therefore, there’s no hope for Eugene. This means it’s more likely that Preacher is changing the rules of Hell a bit from the comic book, rather than losing Eugene for good. Arseface is a major character in the comics and has some really out-there story lines. It would be insane to throw away a character like that. If Preacher is going to continue to blaze its own path and change the rules of Hell, that could mean we see Jesse actually venture to the underworld. Although he spent most of Episode 7 trying to avoid feeling bad about it (and giving us an important tidbit about Eugene and Tracy Loach’s history), at the end, we see Jesse frantically tearing up the floorboards trying to find him. Will Jesse fix this himself? This could go two ways. Either Jesse uses his power to take himself to Hell, and we dive into whole new facet of Genesis’ power, or the arrival of Odin Quincannon’s mob and bulldozer somehow bury Jesse in the church, somehow sending him to Hell as well. This would certainly take Preacher in a new direction, and dive fully into the bonkers supernatural potential it has. However, all signs point to Season 2 getting more on the comics track by taking Jesse and his gang on the road, still definitely on Earth. Seth Rogen has said that the comics “started in the second act,” and that they wanted to make Season 1 more of a traditional origin/easing in story for the audience. We should see a Season 2 that picks up in that second act. Based on the assumption that Season 2 will come closer to the comics, we arrive at my favorite theory. Eugene will come back from Hell, with no help from Jesse. The Saint of Killers is one of the main comic antagonists, and the only mortal who survived Hell — his hatred made it literally freeze over. We’ve only seen the Saint of Killers in disjointed scenes showing his origin, circa the 1880s. Since he has yet to emerge in the modern day story, where is he? Still in Hell. Which means when Eugene gets there, Hell is still frozen, and Eugene will be able to survive. He and the Saint of Killers will emerge together, probably in the Season 1 finale, with plenty of reason to go after Jesse and send him out of Annville for Season 2. When Arseface reappears, don’t expect him to be the same, sweet kid he’s been. Wouldn’t that be more badass than Michigan?